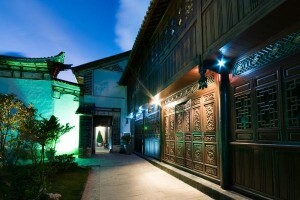 The Linden Centre, created by Brian and Jeanee Linden and located in the working village of Xizhou in Yunnan is a unique centre of culture, learning and relaxation in the form of a boutique hotel. 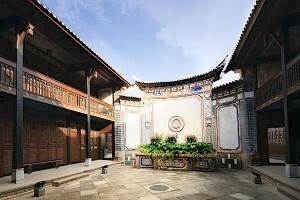 The former estate of Yang Pin Xiang, the estate is one of the most impressive and largest examples of local Bai architecture that has survived relatively in tact until today. After it’s careful restoration the Linden Centre also became one of the first courtyard estates to be incorporated in the tourism economy in the region. 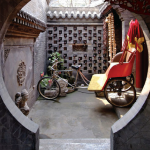 Focused on supporting and learning about the ethnic cultures and traditions, the Lindens applied their inclusive philosophy to the restoration of the building, using local workers and craftsmen throughout the restoration process, as well as hiring local staff. 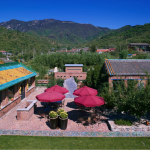 A large part of the hotel stay is the experience guests have in and around Xizhou and neighboring villages. The Linden Centre is comprised of a complex of courtyard structures, featuring four courtyards and gardens, as well as sky wells and water wells. 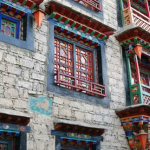 Construction of structures is similar to Tibetan architecture with thick stone foundations and walls and rammed earth higher up. The front corridor features intricately carved eaves of multiple layers and the grey tiled roofs curve slightly upwards at the corners. Many of the courtyards are surrounded by outdoor timber mezzanines. 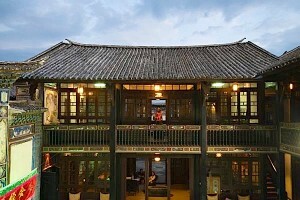 Woodwork is painted with patterns and auspicious scenes and windows have delicately carved timber screens. The carved wooden door panels are all original, mainly thanks to the fact that during the cultural revolution the complex was occupied by the military, and therefore out of bounds to civilians and red guards. The interior layout of the rooms follows Feng Shui rules, as it did with the original owners, and is decorated with furniture built by local craftsmen and regional antiques. The dedication to learning and integrating cultures, as well as the respectful approach to restoring the buildings, makes the Linden Centre and exemplary model of architectural restoration, cultural conservation, and a primary partner in the sustainable development of the local economy. For more information on the Linden Centre visit their website here.